This week I started at Reel FX Montreal as Senior Rigging Artist and I'm really looking forward to working on their animated features. - Improve modeling / topology skills by creating complete characters and topologies based on "The Art of Moving Points"
Maya API ramp attribute bug? MPxNode.shouldSave documentation explains why this should not happen (but it is not true): "This method is not called for ramp attributes since they should always be written." Only returning 'unknown' will not save the attribute. OpenMayaMPx.MPxNode.shouldSave(...) does exactly that. I wanted to create a node for some trigonometry functions, so I don't have to pollute the node graph with expressions. 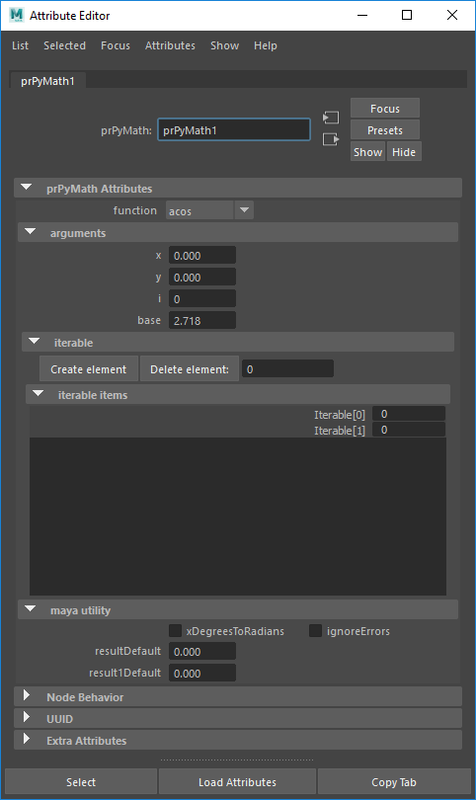 But after noticing that the functions I needed are all part of the Python math module I decided to just wrap the whole module, to make the node more useful. There are only a few repeating argument in the whole module and all functions return one or two numbers. Which means there are also few Maya attributes needed to cover all cases. A math node with that many operations is not typical for Maya. 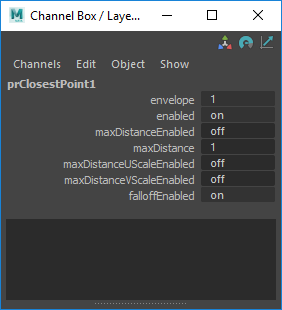 It was the first time I used the Maya Python API 2.0 for an MPxNode. But in this simple case it did not make a big difference. For the Attribute Editor buttons "Create element", "Delete element" I had to look into querying the node in the Attribute Editor context for the first time. Currently it is a workaround with a hidden textfield. I guess a global MEL variable might be the proper way to handle that?! So almost every attribute changed and was not backwards compatible. Which is why I ended up giving the node a new name, that is also more suitable for the algorithm. In production I mostly used prAttractNode when modeling. For sticky lips only once or twice. But that might be because of the kind of stylized projects I usually work on. 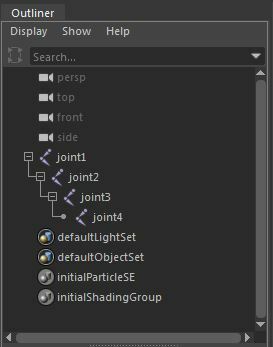 It could be much more useful for visual programming, but many nodes are still missing for that in Maya. Python is also too slow for that, unless the affected vertex count is small enough. I would have liked to switch to the Python API 2.0, but the deformer proxy class has not been ported yet. For the mesh input I switched from MMeshIntersector to MFnMesh, which is slower. I was having issues getting the matrix for MMeshIntersector to work. I used it in the past (see prAttractNode) so it might be a new bug, or I just made a mistake. 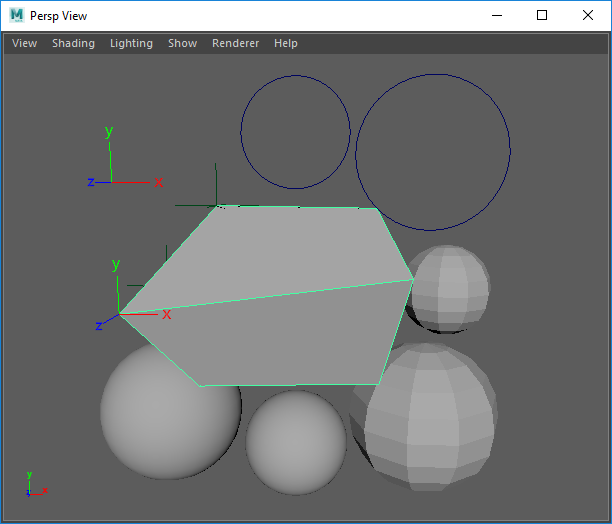 On the upside it is more user friendly to not require the matrix input for mesh shapes. The past ~5 years I haven't written any deformers with the Maya API. I mostly used it in Python scripts to improve performance and to use API exclusive features. I find it strange that basic classes like MPxDeformerNode are still missing in the Maya Python API 2.0 after having tried it for the first time in early 2013. 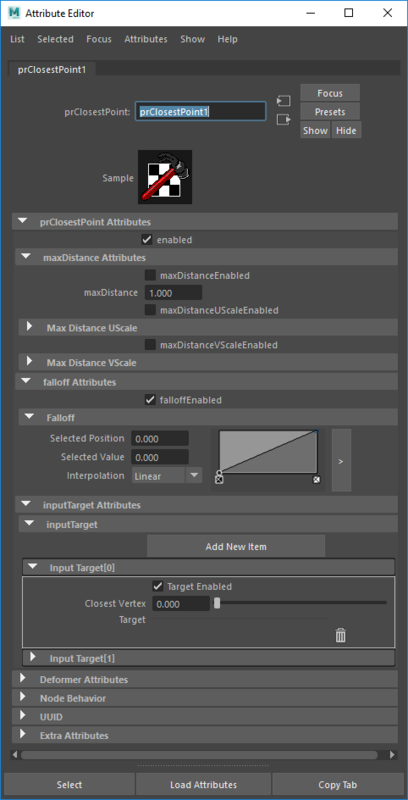 A visual programming / procedural node option like Softimage ICE, Fabric Engine, Houdini would be a much better fit for most of my deformer needs. I was anticipating something similar for Maya in 2011, but after so many years and seeing what happend with Softimage and Fabric I have no idea if / when it will ever happen. The verbose low level nature of C++ Maya deformers only seemed to have increased with the new MPxGPUDeformer class. I haven't really looked into it yet, but the devkit example MPxoffsetNode.cpp has ~600 lines of code for a simple one line vector offset algorithm. That seems quite far away from production problem solving and applied math that I would like to focus on when creating a deformer. Harald rig breakdown from Parzival Roethlein on Vimeo. I was responsible for the main character rigs (including blendshape and some meshflow modeling), animation scripts/support and animated one shot. At first I updated my PyMEL autorigger from 2010 and rigged the bodies with it. Both spine and the bendy limbs are modified ribbon setups (see older post: Joint chain rigging techniques). There are no (corrective-) blendshapes for the body, only skinning. The faces use a standard blendshape + joint combination to match the expression sheet and allow for customization. Reverse wrap deformer for eye bulge in eyelid. Eyelid joints sliding on geometry. Rig performance had some priority and the finished rig showing the final deformation (one subdivision level) ran at over 20 fps. And finally I animated one shot because I always wanted to do that, even thou I am not an animator. My previous experience was very limited, so I had to learn most animation principles for the first time and it certainly was a fun exercise to use my own rigs. Baby Dragon walkcycle rig breakdown from Parzival Roethlein on Vimeo. This is a personal project from early 2013. When I saw a turntable of the dragon on Vimeo (https://vimeo.com/52581835), I contacted the modeler. And after I was done with the rig a co-worker / fellow student did the animation.